Whatever your level we have the challenges to get you thinking, options to help you move up and the facilities for you to train. Craggy Guildford – has 100 rope lines split 50/50 top rope and lead. 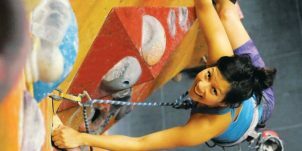 A fabulous bouldering wall, 8 auto belays, a traverse wall and a dedicated training area on a mezzanine – free from distractions and youngsters. Routes are set from grade 3 through to 8a and most rope lines have at least 3 routes set at 3 different grades – so whatever your level you should find suitable climbs anywhere in the centre. Craggy Sutton – dedicated to bouldering with 150+ boulder routes set from font grade 3 to 8a, a training area and a separate kids area with a unique caving system – ideal for kids parties. 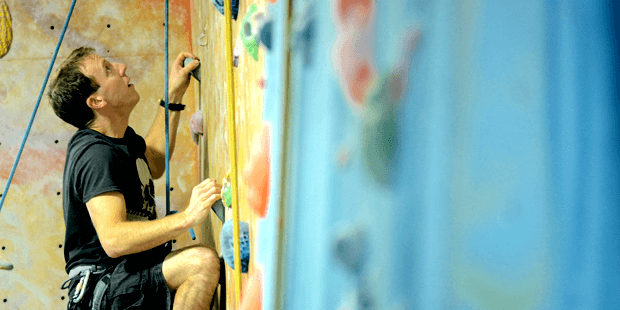 We believe indoor climbing should be fun even for serious climbers – it’s what keeps our customers coming back for more – that and the constant program of setting new routes across both centres. You’ll always get a warm welcome at Craggy. Courses and sessions for improvers, including focussed 1-2-1 instruction can all be booked online. 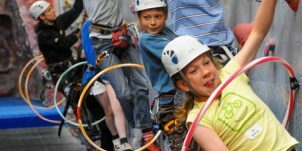 Craggy Island employ only the best climbing instructors, trained and experienced in the art of helping you climb better, have fun and stay safe. Craggy membership covers both centres click here for entry prices and membership information including our ‘3 star’ unlimited climbing package.